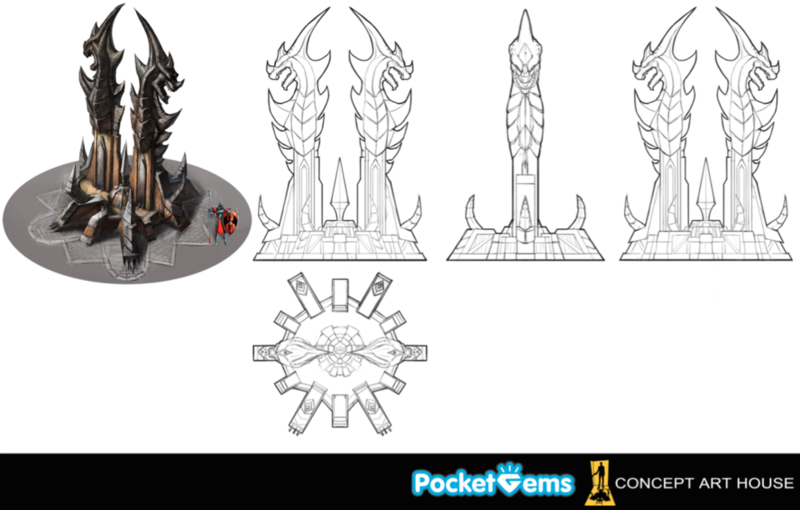 Concept Art House works with a lot of clients in the preproduction phase of game development. One of the most commonly asked questions is “What art style should my game be?” Something stylistic like Clash of Clans, or something realistic like FIFA? In the coming months, Concept Art House will explore the different art styles available to game developers and the pros and cons of each style. First, we take a closer look at realistic game art. Making games look real is the primary driver of every new console system. How many more polys can the PS4 crunch compared with PS3? Can you see the wrinkles in Gandalf’s eyes? It can be difficult to objectively judge something as realistic, so our artists like to use a scale from 1-10: 1 is completely stylized (think Paper Mario) and 10 is completely realistic (think Final Fantasy XV). We’ll refer to this as the ‘stylization scale’ throughout the article. The top game studios have in-house artists in each of the disciplines needed for a realistic art style --making games like Witcher 3 and Last of Us. These games would be considered 9s or 10s on the stylization scale. File size – Huge file sizes for high-res assets threaten to increase the file size of the mobile game, often past the dreaded 100MB Apple limit. Games with large file sizes need a wifi connection to install. Screen size – It’s harder for players to appreciate realism and detail on a smaller screen. 3D models often sacrifice detail for legibility. Resources required – Realistic game are requires artists who specialize in things like lighting and animation. Employing these specialists can increase the cost of production to the point where it’s out of the reach of most indie developers. Pocket Gem’s latest game War Dragons is an example of a mobile game that overcame these challenges. 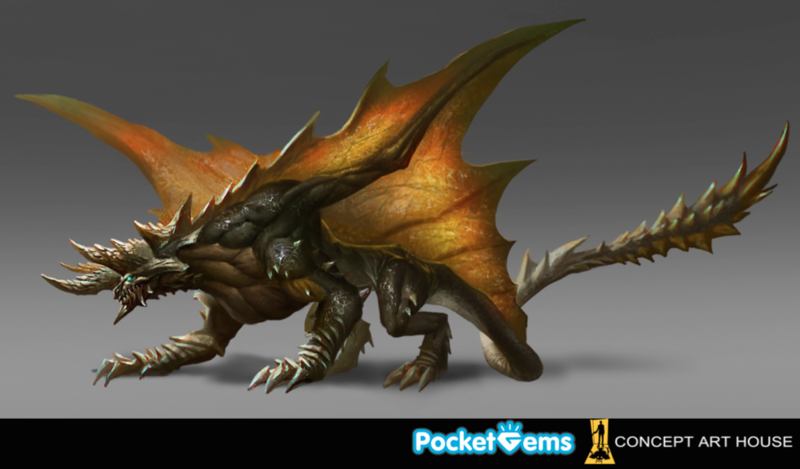 Pocket Gems, known for developing games with stylized art styles like Campus Life and Tap Paradise Cove, released War Dragons in April 2015. Take a look at the level of detailing for textures, scales, lighting and weight in the War Dragons art below. Creature assets are not the only assets with high-quality realistic art, environments also have an element of realism to create an immersive experience. Wood grain is visible in the tower, as are the stones that make up the floor. Console games are where realistic art is most seen because 3D is a medium that can capture depth and detail in a way that’s harder for 2D. Assassin's Creed, Halo, Uncharted -- most popular console franchises use realistic art to help them create an immersive experience. When player customization is featured, for games like Fallout 4 and Dragon Age: Inquisition, realism becomes more key to the game’s art style. Game developers for these console franchises often have the resources and budget to make their games look absolutely beautiful. Take a look at some examples below from God of War and Guardians of Middle Earth. Trading card games often have high-quality realistic art. The big distinction between card games and 3D games are that the art itself. There are no technical limitations for lighting, physics, animation, and polygons. The realism of the art is purely dependent on the skills of the artist. Magic: the Gathering and Legend of the Cryptids are great examples, the card art for these games are famously beautiful. 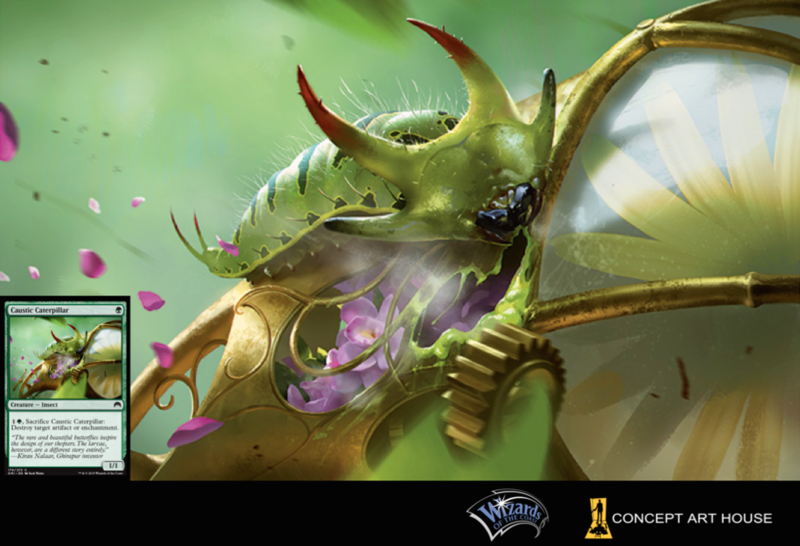 Take a look at this hyper-realistic card art from Magic: the Gathering. Concept Art House provides premier creative services to the digital entertainment industry. Founded in 2006, Concept Art House has helped ship 500+ games -- providing 2D art, 3D models, flash/vector and animations to top developers likeSupercell, DeNA, Konami, and Blizzard. Concept Art House specializes in providing art for AAA games, mobile/social games, high-end trading cards, and comic books. Our team works hard to achieve the highest satisfaction level for our clients. Concept Art House's strategy is simple: where passion and pride intersect, we offer you our quality, originality, and experience. Newer PostUltimate Art From Reliance Game's Ultimate Robot Fighting. Older PostUpcoming Concept Art House Events Events!